Boil…boil…toil and trouble…! Halloween is near and that means it’s time for HWA members to enter the Halloween Cookbook contest! Enter your best, spooky recipes for a chance at culinary fame. 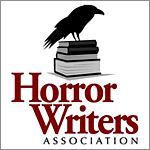 If you aren’t a member of the Horror Writer’s Association, you can fix that here. What to enter? Be creative! Historically horrific recipes from history, creepy concoctions of your own creation, cocktails, coffees, cakes and pies…everything goes as long as somebody dies. Okay, maybe the last bit is probably going too far. Cakes and pies are for Christmas. How do you enter, you ask? Easy! HWA members, send your recipe to Marge Simon (MSimon6206@aol.com) and Bob Cabeen (rpcabeen@earthlink.net). Photos are wonderful and welcome, but please send them as attached .jpgs, not in the body of the email. Pull out your cauldron and your eye of newt. It’s time to prepare your potions! I want to thank Angela for helping to spread the word! BUT you must be an HWA member!